A circular area used in the Infograph and Infograph Modular clock faces. The following figure shows the size and location of the graphic circular complication. 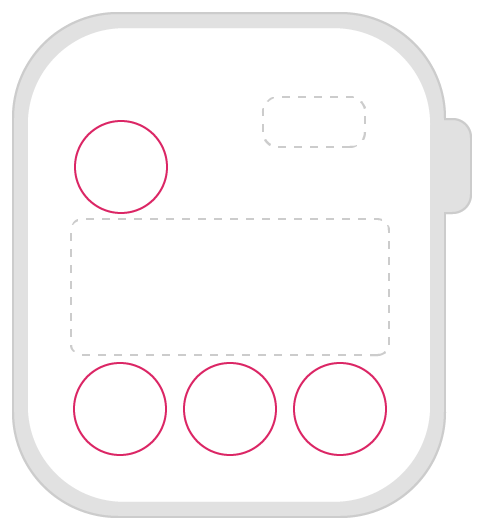 A curved area that fills the corners in the Infograph clock face. A circular area with optional curved text placed along the bezel of the Infograph clock face. A large rectangular area used in the Infograph Modular clock face.